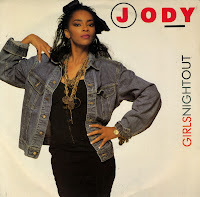 Jody Watley had a nice career going in the Eighties, especially with singles like Looking for a new love and Still a thrill. By the end of the decade, not so much. This single faded into obscurity rather quickly and she didn't return into the charts until 1993, when her song 'When a man loves a woman' (not a cover version) reached number 33 in the UK singles charts. After the band Shalamar split up, Jody Watley moved to England, and while there she recorded a guest vocal with British Jamaican roots reggae group Musical Youth for their album 'Different Style'. She also recorded demos with Gary Langan, Anne Dudley and J.J Jeczalik (who later became Art of Noise). A brief stint with Phonogram Records yielded two demos that were released as promo records. 'Girls night out' was one of them, a single released in 1985. Billed simply as 'Jody', I only discovered this single because the shopkeeper was smart enough to put them in the 'Jody Watley' section. Otherwise, I wouldn't have found this bubbly piece of pop. 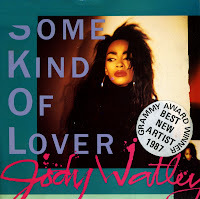 'Some kind of lover' was the fourth single taken from Jody Watley's self-titled debut solo album. It was a relative failure, reaching number 81 in the UK singles chart, but it is one of the nicest funky tracks on the album. These remixes were made by Louil Silas, jr., who mostly adds a lot of 'bounce' to the track. The 12" single features three versions of the tracks which are quite similar to one another. Still, good stuff. When I bought this single I wasn't sure whether I already had it or not. But I thought what the hell, it's a limited poster sleeve edition, and that alone warranted this acquisition. So I was really happy to find that I didn't actually have this single, which means that this is a genuine addition to my collection. Jody Watley was hot in 1987. Her self-titled debut solo album was a smash hit and this, the second single from the album saw her singing in a deep lower register. The single only reached number 56 in the US Billboard Hot 100 chart and did not chart in the UK, where this limited edition was made. 'Friends' was the second single from Jody Watley's second album, 'Larger Than Life'. Unfortunately, she decided to collaborate on this track with rappers Eric B & Rakim, who detracted from what could have been an excellent pop track. Their vague mumblings are thrown into the middle of the song, like a garbage truck in a flowerbed. Still, in the USA, the single peaked at number 9 in the Billboard Hot 100. In the UK, the single reached number 21 and in the Dutch Top 40, it stalled at number 25. 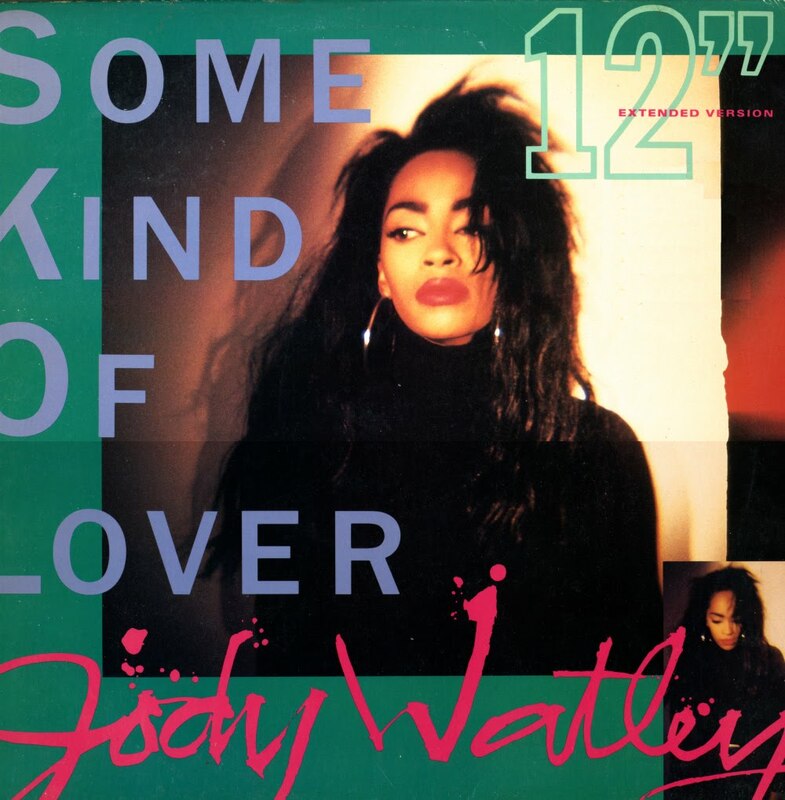 In the spring of 1989, Jody Watley released her second album, 'Larger than life'. She co-wrote 11 of the album's 12 songs. The first single release, 'Real love", sold over 500,000 copies in the USA alone and was certified gold. It reached number 2 on the US Billboard Hot 100 chart. In the UK, people were less impressed, as it only made number 31 there. In the Netherlands, the single peaked at number 19. I think this song is my favourite Jody Watley track. The sad lyrics are not at all reflected in the bouncy, poppy song and the uplifting melody. It's great fun to sing along to this one, whether you're up or down. 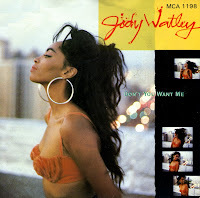 Not many people agreed with me, it seems: the single was the least successful from Jody Watley's debut album. The single stalled at number 60 in the US Billboard Hot 100 chart and did not chart in Europe. This German edition of the single comes in a poster sleeve. A sticker on the sleeve of this single announces that Jody Watley was a Grammy Award winner in the category Best New Artist in 1987. Which in fact is a bit strange, since Watley had been active in the music business all through the decade, first as a member of Shalamar, and then solo. 'Some kind of lover' was released as the fourth single from her self-titled debut album. The single only reached number 81 on the UK singles chart. 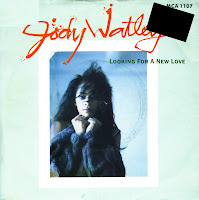 Jody Watley's debut album 'Looking for a new love' yielded five hits, of which 'Don't you want me' was the second. It reached number 6 in the US Billboard Hot 100 and number 55 in the UK singles chart. Jody Watley went solo after being part of the band Shalamar for several years. Her debut solo single was 'Looking for a new love', relased in 1987. The single hit number 2 in the US Billboard Hot 100 chart, peaked at number 13 in the UK singles chart and number 36 in the Dutch Top 40. While listening to a tape of instrumental tracks given to her by producer André Cymone, Watley reflected on a recent sour romantic breakup. 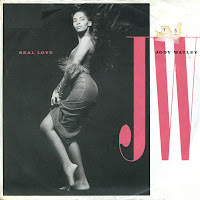 Fusing her own feelings of 'I'll show you' with the feel of the track, Watley came up with the basic idea of the song. 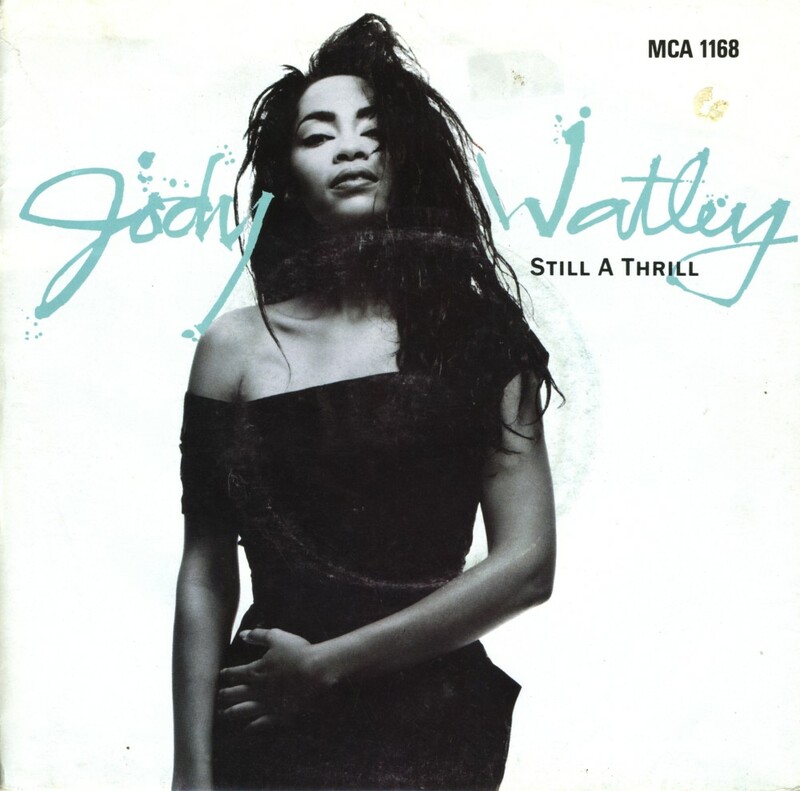 The released version is the eight-track demo of the song; that way the emotional urgency of Watley's vocal was still intact. Watley's phrase 'Hasta la vista, baby' was later used by Arnold Schwarzenegger in the 1991 film 'Terminator 2: Judgment Day'.